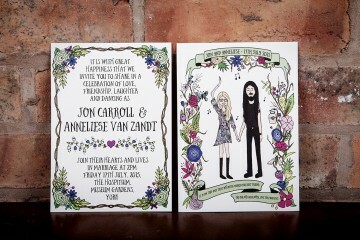 Getting hitched soon? Congratulations! 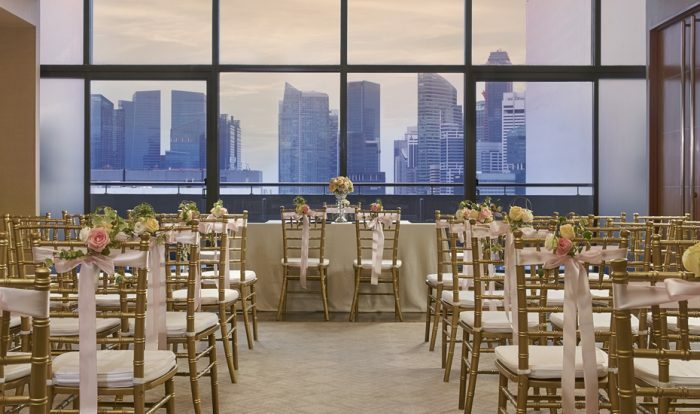 Any couple would want the best wedding locale for this all-important occasion, so why not book Pan Pacific Singapore as your wedding venue? Featuring a newly refurbished ballroom, delicacies from award-winning restaurants, and a convenient location (walking distance from three MRT stations! ), we think you’d be hard-pressed to find a sweeter deal. The revamped 805 square metre Pacific Ballroom seats up to 650 guests and comes with a private driveway leading into the spacious foyer area. The design of the ballroom is inspired by—you guessed it—the Pacific and all things marine-related. Here you’ll find a sprawling, pillar-less space with a multitude of beige, brown, turquoise, and yellow hues (and even coral installations) that imbue a breezy ocean vibe. Gaze up, and you’ll see that the opulent details extend to the ceiling – think fancy chandeliers set against a honeycomb design. Your dream wedding awaits you at the newly renovated Pacific Ballroom. 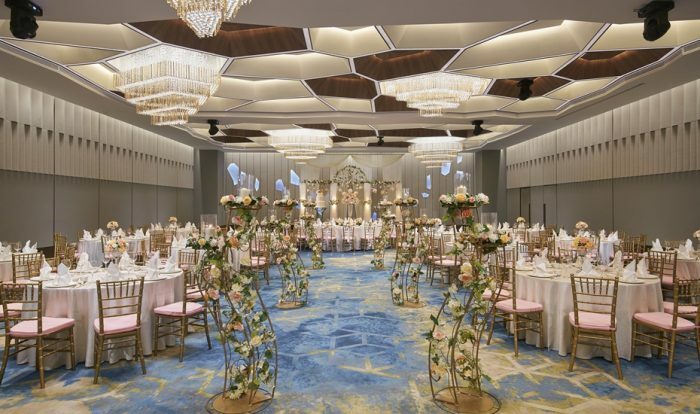 The technology is cutting-edge: the Pacific Ballroom is equipped with an intelligent and advanced lighting system (also known as P3 lighting technology), which is only available in a few hotels in Singapore. This sophisticated feature allows changeable light colours and settings that are fully programmable. What's more, the experience will be enhanced by state-of-the-art audio-visual equipment, giving you all the freedom you need to create that golden ambience. 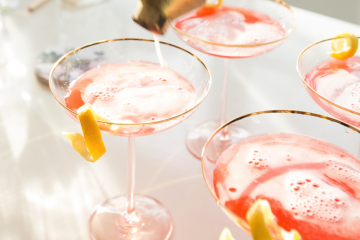 Of course, what’s a celebration without food? 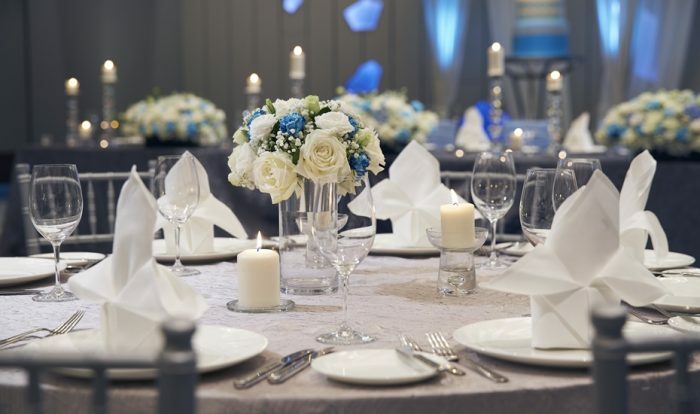 You’re in good hands with the hotel’s dedicated catering and event management team, who can make the necessary arrangements to give you the menu you want. Choose from Chinese, Western, Indian (they’ve got vegetarian options, too) culinary creations by restaurants such as the famous Hai Tien Lo and fine dining establishment, Rang Mahal. 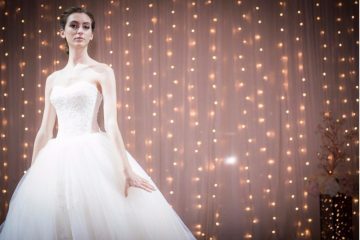 Pick your desired wedding theme and run with it! 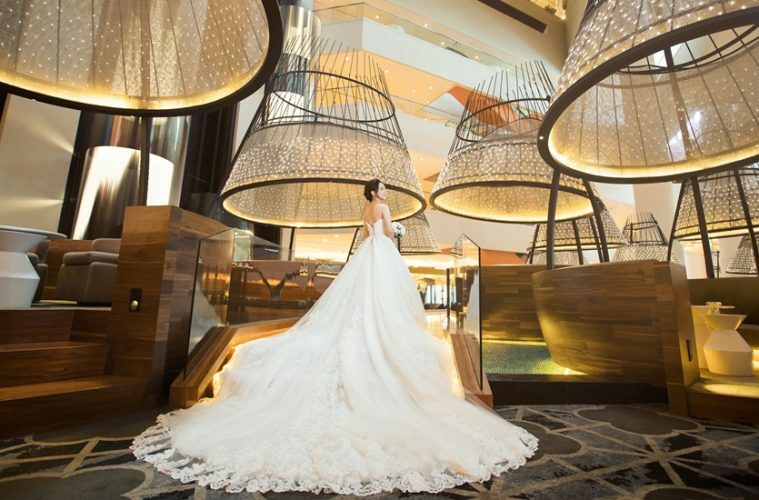 Pan Pacific Singapore offers four different wedding themes, and each one is inspired by the seasons. Never could resist the idea of a winter wonderland? 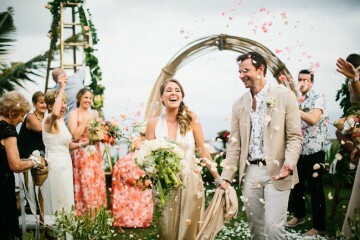 Go with the Winter Whimsy theme, for a colour scheme of Pacific blues, creamy ivories, and classic whites – with flowers such as roses and baby’s breath to complete the look. It’s all things blue and white with the Winter Whimsy theme. 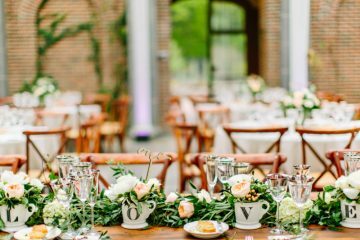 There’s also the Spring Romance, featuring shades of dusty pink, blush, and soft greens for that garden-set dream. For the summertime lovebirds, choose the cheery Summer Dream – you will love the warm, golden accents paired with fresh vanillas and tangerine tones. Lastly, showcasing rosy colours, floral lavender and deep jewel tones, Autumn Rhapsody is made for those who appreciate old-school glamour with a touch of elegance. Need more options (and reasons)? 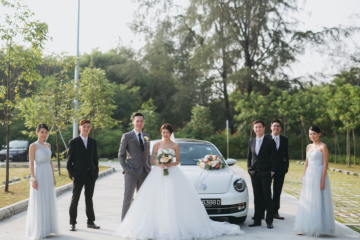 There’s no need to go elsewhere for solemnisations and cocktail receptions, as these occasions can be held at Pan Pacific Singapore as well. The Pacific Centre Event Suites on level 22 is airy, spacious, and even has a private balcony that lets you take in stellar views of Marina Bay and the city skyline. Enjoy the view 22 floors up at the Pacific Centre Event Suites. On the other hand, if you prefer a more intimate gathering for your special day, there’s the Ocean Ballroom, which seats up to 380 guests. With a lush reception area decked with sycamore wood panels and natural light that spills through clear glass panels into pre-function area, the Ocean Ballroom is a warm, inviting venue you can’t go wrong with.